Online advertising is becoming complected day by day.That because of the high volume of advertisers and unlimited platforms. Facebook is a very powerful online advertising tool which helps millions of businesses around the world.Because it has more control power and deep analyzation possibilities. Also, Facebook ads are cheaper compared to other online advertising platforms. But things got changed over the time with Facebook algorithm updates. Now things have become difficult for online advertising.Let’s have a look at some of the challenges advertisers face. Facebook page post does not reach more than 10%of their fan base.And pages are dying. Facebook news feed prioritizes only for friends and family posts. but not page posts. The high volume of information makes content shock.The audience just scrolls down the post on news feed. The high volume of advertisers makes facebook bids more complicated. 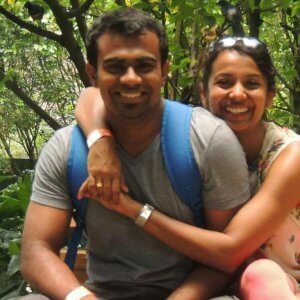 Need 50 conversions to optimize the ads in 7 days. Above are not the only reasons which make Facebook advertising more challenging. there are many other factors contribute to Facebook ads. Let’s have a look at how we can win the game in this difficult situation. Important Note- Be Aware!! This Tips can override Facebook Advertising Guidelines and you can get blocked by Facebook. As I explained new facebook algo prioritizes the friends and family posts.BUT, Not page post. 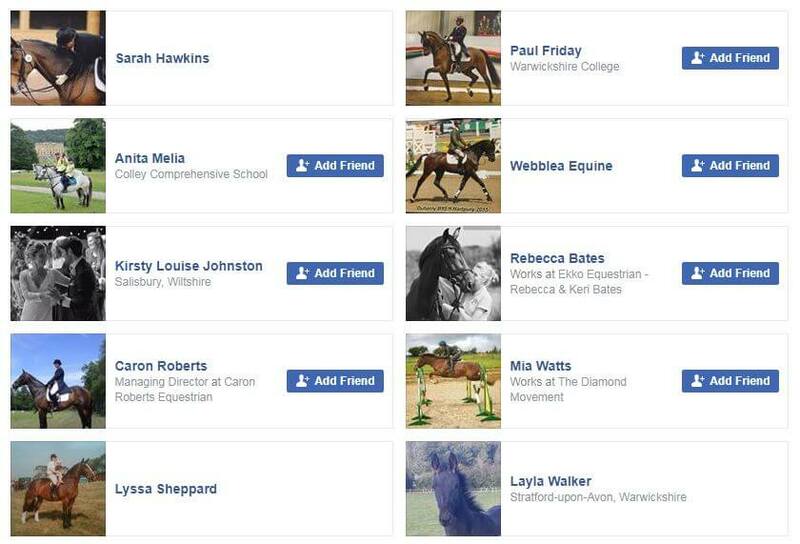 So, create the Facebook profile and add the people to your niche.Don’t add people to facebook suggestions.Keep adding people to your niche only. Gradually you can increase your audience.When you reach 5000 friends your profile it can be a good marketplace and your post can go viral easily by sharing with each other.But you have to make engagements in your profile by liking, sharing and commenting others post.If you don’t engage someone’s post for few days, you will not see him or her updates again in your news feed.Your profile can be powerful online advertising place.It’s completely FREE. Keep Reading and i will show you how to go make viral posts with your Facebook profile. Groups are a very powerful online advertising place too.But many of them don’t know how to advertise in groups and they get blocked easily by admins. There are thousands of groups available for many niches.Look latest 259 Niche list. Join them and be active by commenting others post and build the trust with others for sometime.when you want to advertise or post something related to your product and let others comment on that and then post your product as a comment saying “found this product.looks great “then post the link. 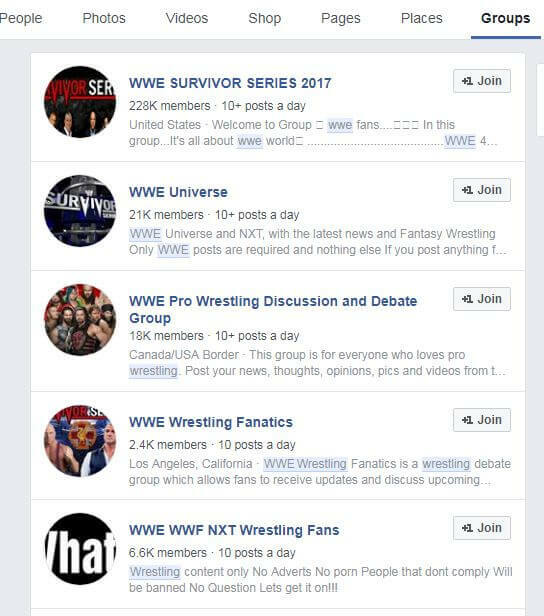 Look at some WWE Groups and amount of members. Dont you think these are the great places for free traffic. Every Niche has viral content in all the social media.Jack them and post it on your social media profiles and pages.If you can identify the viral content as early as possible, you can get a traffic flood.You can use tools to identify any viral content. Buzzsumo is an expensive tool compared to traffic studio.With these tools, you can find most shareable posts, videos and repost them on your facebook, twitter, Pinterest accounts and also blogs. Best part Is, it can be set on auto mode so that it will publish the best content automatically with viral hashtags. Below Snapshot from Traffic Studio.Look at the options and possibility to catch the Viral trends at an early stage. 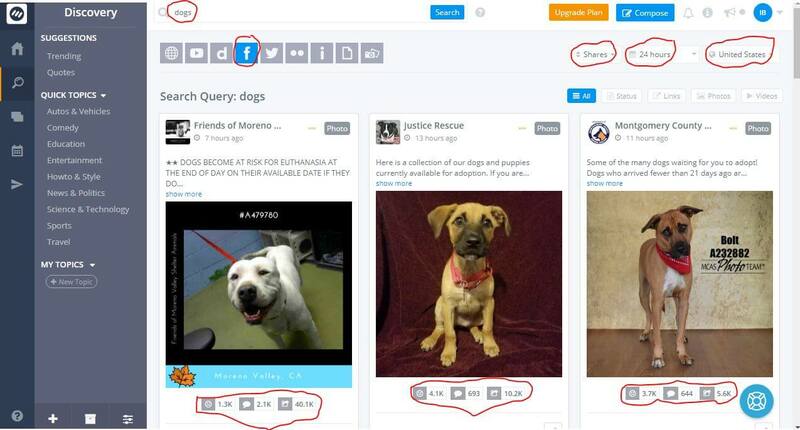 Above post is the most shareable dog-related post in 24hours in the USA.Below the post image, you can see the amount of Facebook engagements. This software has amazing features that can automate your social media accounts.The software will bring most engaging contents from the internet and post on your facebook, twitter, Pinterest, Linkedin, Tumblr, and blogs. (They will ad Instagram soon) Your social accounts will grow automatically with fresh viral contents.It is Powerful Method! Go to Big pages in your niche and comment your link there as a product user and revive the product bit.You can make sales and increase your page likes by doing this.But don’t do it by sales pitch as others will recognize you.If you think it difficult for you then you can use a software for it.The software will automatically go to those pages and leave the comment with your link. The Facebook algorithm identifies posts with high social signals (likes, shares, comments) and supports them to reach more. When you post something to give some social signals to it, it will grow faster. Let’s see how you can give artificial signals to your post and reduce facebook advertising cost. Find latest viral content posts and post them in some of the niche related facebook groups. 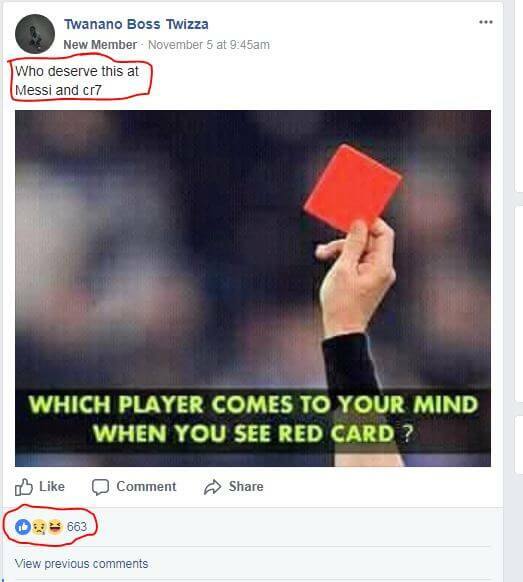 There are facebook groups who use’ like’ method. it is nothing, but when you post your link to their groups they will engage with your post by likes and comments.But you have to return the favor by liking their posts as well. All of your posts won’t go viral.Try to find the most viral post and promote it. Also when you run paid Facebook ads this method can give low CPC. 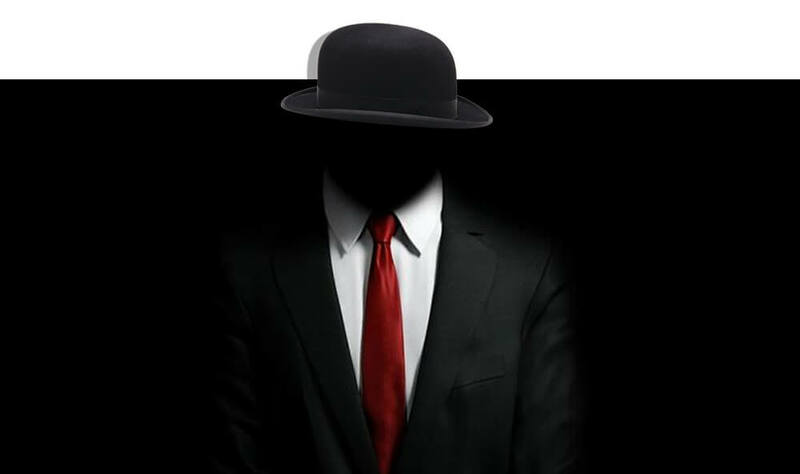 Ex-Anybody Knows Facebook advertising black hat methods? When someone comments your post, make sure you engage with that.You can say thank you, Good idea or you can ask him the question again. 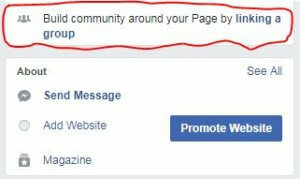 This will help you to do your Facebook advertising in groups. Do you know if you rank in google first page you will be getting millions of free traffic to your website? It won’t cost you like Facebook ads or any other ads. If anybody interested to learn on Free Traffic method (SEO)I only recommend wealthy affiliate program. This training not only gives you search engine optimization it teaches you affiliate marketing as well. (Affiliate marketing is one of the best passive income sources)Also, Wealthy affiliate provides you with all the tools that require for your business. Comment your ideas and suggestions.Also, type any help that you require with marketing.I’m happy to help you.